How Long Before CPAP Helps with My Sleep Apnea? If you’ve recently been diagnosed with Sleep Apnea you may be feeling overwhelmed. 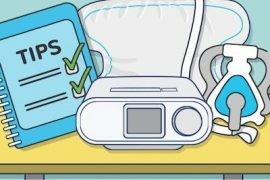 You’ve conquered the sleep study and received your equipment, but are now struggling to find comfort sleeping with your CPAP. For many, sleeping with a CPAP can take some adjustment. The good news is that there are many things you can do to improve your experience of CPAP therapy. It’s not uncommon to wonder how long it will be before you notice anything different. 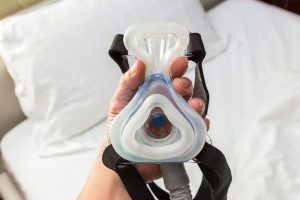 Learning more about how CPAP works and how to get the most benefit from one can help you improve your Sleep Apnea symptoms and get better rest. they use the machine. Others find that the effect, for them, is cumulative. They may not feel an improvement until they have used a machine regularly for several weeks or months. The person who sleeps next to you may see results from the CPAP machine before you do. They may notice that you are less likely to snore at night or suffer the paused breathing common with Sleep Apnea. As a result, your sleeping partner may find that their sleep is greatly improved right from the start1. Recovery from Sleep Apnea is possible, but in order for that to happen, you will need to make a commitment to the therapy. 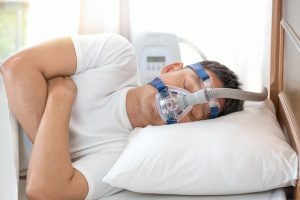 According to an article published in the medical journal Sleep2, the longer study participants used their CPAP machine, the more likely they were to see their symptoms improve. The study also found that there was no set amount of use that works for everyone, and that results varied. In order to see any benefit, the person has to use it consistently. 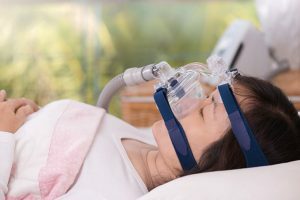 Understanding the science behind CPAP therapy can help you understand why it’s recommended and how it can help with your Sleep Apnea. According to an article published in the medical journal Respiratory Care3, PAP therapy works by using air pressure to open your collapsed airway during sleep. “CPAP” stands for “continuous positive airway pressure.” CPAP machines are the most effective non-surgical treatment for Sleep Apnea. 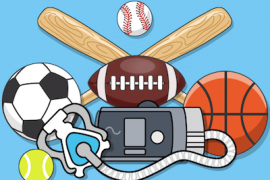 There are several types of machines that can help with Sleep Apnea symptoms. Most Sleep Apnea patients use an Auto CPAP Machine (APAP) because it can automatically adjust to the correct pressure while you sleep. This means fewer visits to the doctor to adjust your pressure and less concern about whether factors, like weight gain or loss, have created changes in your pressure needs. It’s also important to find the best CPAP mask for your lifestyle. Some masks use a nasal pillow, which is a cushion that fits directly into the base of your nose. Others include a mask that goes over your nose and mouth or a mask that covers the nose only. If you have been using a CPAP machine for several weeks and are still wondering how long does it take to feel better with CPAP, talk to your doctor to make sure you are using the machine correctly. For optimum effect, your CPAP should be used every night when you go to sleep. are experiencing side effects like a sore throat, nasal congestion or irritation on your skin. By working with your healthcare providers, you can find the right fit for you. Your doctor may recommend nasal spray medications or a humidifier if side effects are keeping you from feeling as good as you should. What if I Have other Questions about CPAP and Sleep Apnea? Sometimes, it can be helpful to talk to people other than your doctor about the symptoms you are experiencing. Other people who have Sleep Apnea are often a great source of insights. 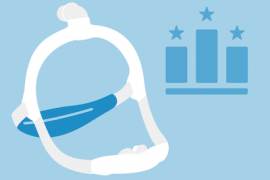 They can help you navigate treatment and learn more about how to get the best CPAP results. One place you can get more information is from a CPAP support group. Here, they can help you understand the answers to questions like “how long does a CPAP machine take to work?” or “am I using the machine in the best way for me?” People in the group can provide insights about their own experiences. They may also be able to make recommendations for adjusting to the CPAP machine and how to get the best experience. 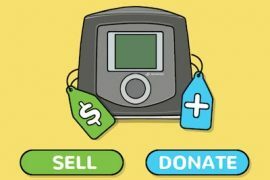 Many Sleep Apnea sufferers turn to the message board CPAPtalk.com to find help and advice from other CPAP users. For many, CPAPtalk is almost like a support group that’s available 24/7. If you are new to CPAP treatment, it may be difficult for you to figure out how to tell if CPAP therapy is working. One sure sign that it is working is that you are finding that you sleep through the night more often. Sleep Apnea often causes you to wake up when you stop breathing; CPAP therapy allows you to breathe more smoothly so you can enjoy better sleep. You may also find that you are less tired in the day and less likely to suffer Sleep Apnea symptoms such as depression, irritability or brain fog. You can also talk to your doctor if you are worried and wondering how long your CPAP machine will take to work. Your doctor can provide insights and answers, as well as updates about your personal health. By working together, you can find the best approach to your symptoms and the best way to manage your health and your sleep. We are happy to answer any questions you may have about CPAP therapy. Call us at 1.800.356.5221 or email cpap@cpap.com for more information. 1. Atwood, Jr., MD, Charles. “Sleep and CPAP Adherence”. Published on the National Sleep Foundation’s website. Accessed August 14, 2018. 2. Weaver, Terri E., et al. “Relationship Between Hours of CPAP Use and Achieving Normal Levels of Sleepiness and Daily Functioning”. Published in the medical journal Sleep, June 1, 2007. Accessed August 14, 2018. 3. Andreea Antonescu-Turcu, MD and Sairam Parthasarathy, MD. “CPAP and Bi-level PAP Therapy: New and Established Roles”. Published in the medical journal Respiratory Care, June 22, 2011. Accessed on August 14, 2018. I have been using my CPAP machine for about almost 3 months now and what a mess the first month was the full mask tore into my nose so bad I have a scar and got an infection. Now I’m using the nassel one and getting chaffing and it falls out because I move too much. I don’t know what to do? But I do know that when I do get a chance to use the machine for 8 hrs. Straight I feel great! Do you have any suggestions on what other devices I can use on my face to get a better nights sleep continuously? You may want to browse the products on this page: https://www.cpap.com/cpap-comfort-cleaning/skin-irritation.php and brose through there to see if there’s something that might help.